Spring will be here soon! Are your kids excited to see more flowers and green leaves? Play in the rain and jump in muddy puddles? A Spring unit or theme is a great way to bring excitement to learning. 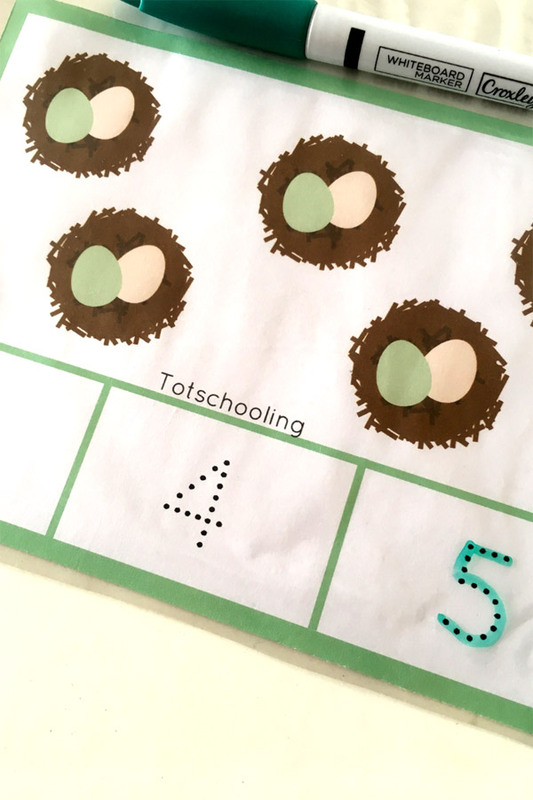 Here is a fun counting activity to do while waiting on Spring! Get counting! 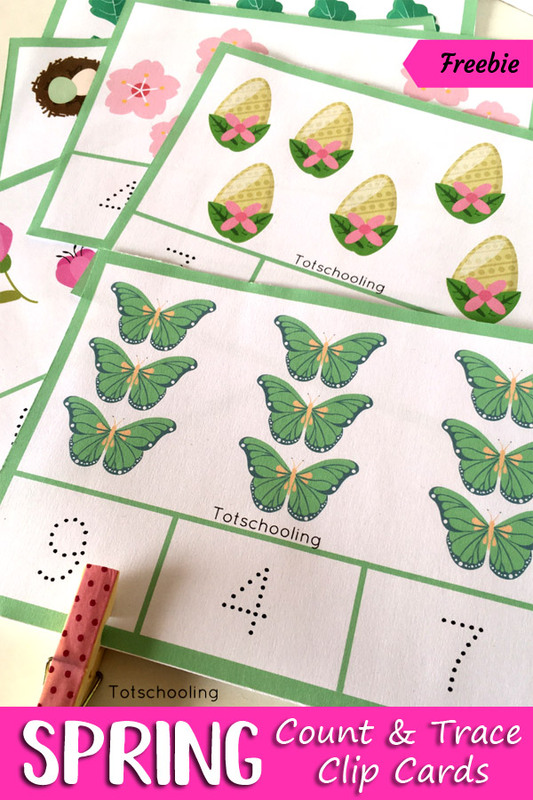 Count the beautiful Spring-themed pictures and find the correct number to clip and trace. What a fun way to work on counting AND fine motor skills too! 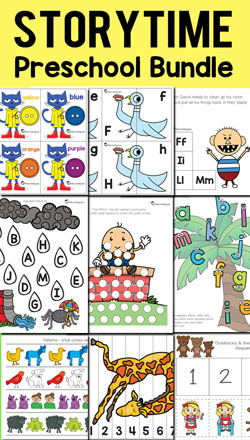 Simply print the FREE printables and laminate the pages before cutting into cards. If you want to use these counting cards as trace cards, provide a dry-erase or whiteboard marker with the cards. If you want to use it as clip cards, provide a peg or clothespin. Use a colored peg or make a wooden peg pretty with Washi tape or simply make patterns with markers. Involve the children in making the pegs colorful as an added activity, they will enjoy that! Count and clip or count and trace cards, your choice! These Spring count and clip/trace cards work great in a Math center as an independent activity during a Spring unit/theme. Also, it is a good busy bag while traveling or waiting at appointments! Just pop it into a small bag with the marker or peg and you are ready to go! 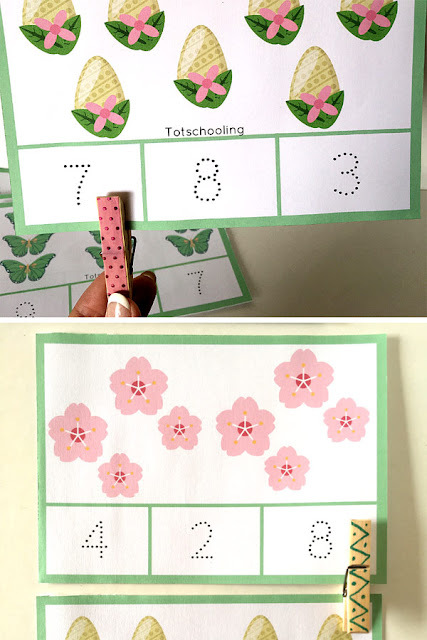 Such a fun Spring themed activity for preschoolers! 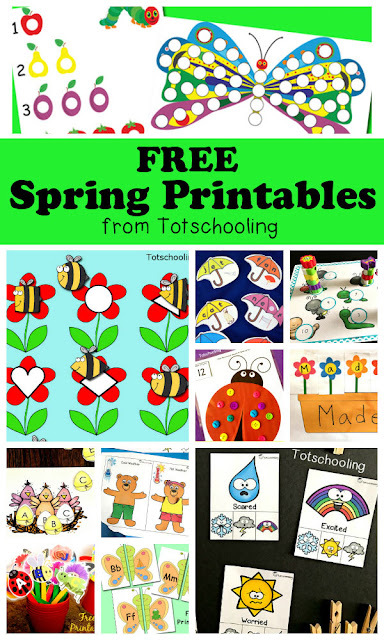 Click Here to Download your FREE Spring Clip Cards!